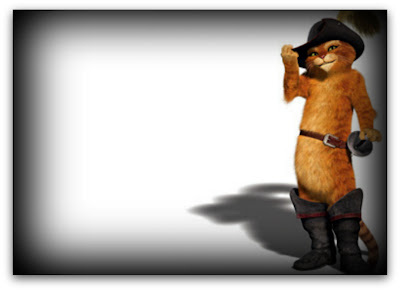 "Years before meeting Shrek and Donkey, the adorable but tricky Puss in Boots must clear his name from all charges making him a wanted fugitive. While trying to steal magic beans from the infamous criminals Jack and Jill, the hero crosses paths with his female match, Kitty Softpaws, who leads Puss to his old friend, but now enemy, Humpty Dumpty. Memories of friendship and betrayal enlarges Puss' doubt, but he eventually agrees to help the egg get the magic beans. Together, the three plan to steal the beans, get to the Giant's castle, nab the golden goose, and clear Puss' name..."
For more info and details, check the Puss in Boots IMDb page here. 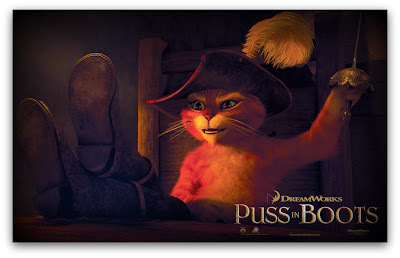 There we go, all we wanted to know about Puss in Boots before he met Shrek has been revealed at last! But, don't worry, we won't have to wait too long to see the story. It's out on the UK cinemas on the 9th of December. 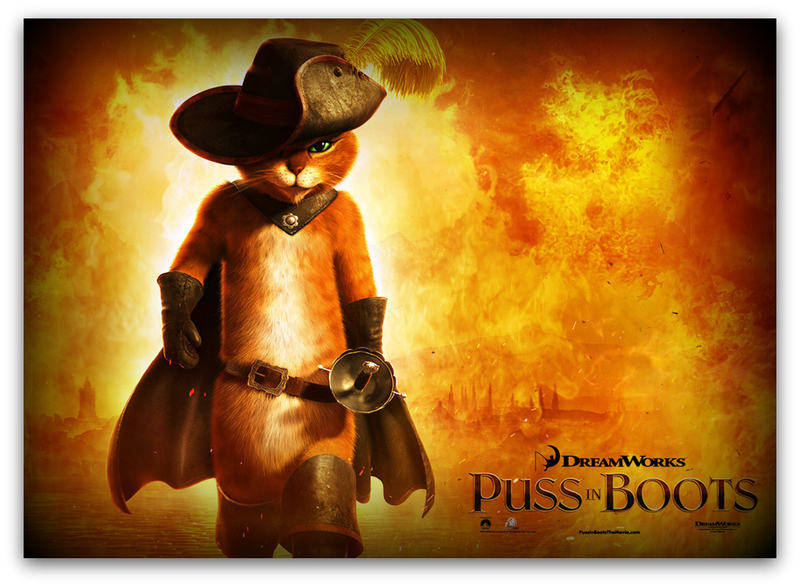 There are also some goodies to download on the movie's official site: wallpapers, games, email signatures... and more. Just click on the link provided with the trailer and you'll have free access to all that. Yep, Christmas is early for us Puss in Boots fans! Enjoy, have fun, and let us know what you thought of the movie once you've watched it, okay?